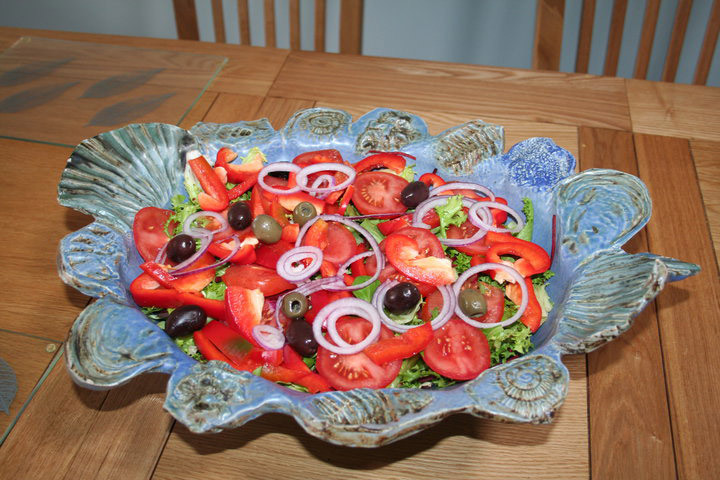 Carole’s own work involves making hand built forms. She is interested in surface decoration and the use of colour and pattern. Her work is influenced by plant forms and the strange, beautiful structures found in the sea. 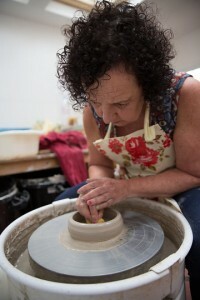 Carole prefers to use the clay in a sculptural way, combining hand building methods of coiling and slab work. She is currently developing a new body of work, combining different clays to make sculptural pieces influenced by the underwater world. She works with a variety of ceramic and clay materials, using under glaze colours, slips and oxides and glazes, sometimes waxing and polishing the surface after firing. Carole also makes garden pieces and water features and is happy to take commissions. Carole will design a unique site specific piece to your brief. She will produce drawings and clay maquettes before making the full size ceramic sculptural work. 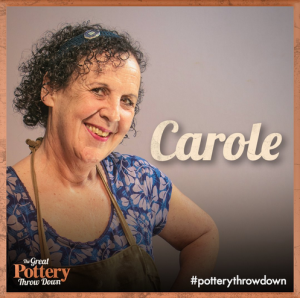 Carole’s interest in ceramics began more than 30 years ago. 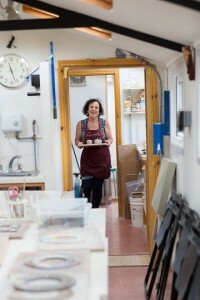 The manager of a retail shop in London, selling studio ceramics and handmade crafts, she would tour the country, visiting remote, rural studios and ordering ceramics for the store. Carole went on to study interior design and worked for a number of years in an architectural practice as a designer. 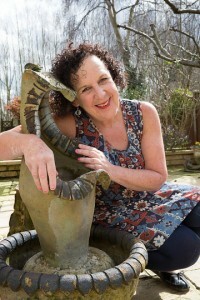 However, her passion for pottery and ceramics was reignited in the 1980s, when she gained a City and Guilds Ceramics qualification at Kingsway College, London and followed this with A Foundation Art Diploma and Degree level study at the University of Hertfordshire in Fine Art. Clay with Carole was borne out of Carole’s love to teach and pass on her knowledge to others. She feels strongly that studying ceramic art is an ongoing, rich, and fascinating process and that the learning process is one of mutual communication and the sharing of ideas.